Could Your Car's Tinted Windows Collect Solar Energy? Back in the day, having a car with solar panels on it meant you were driving around in something that probably looked as weird as 2006’s Venturi Eclectic concept. However, today, thanks to companies like Norway’s EnSol, virtually any car could be fitted with solar panels and you wouldn’t even notice them. That’s because EnSol has patented new transparent solar cell technology that can simply be sprayed onto an existing surface, such as a car’s windows. 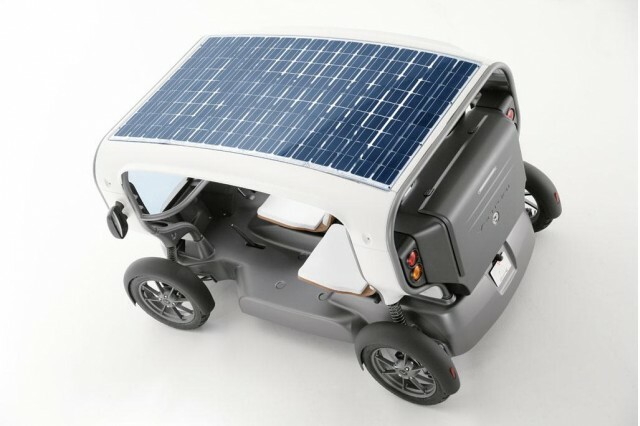 By adsorbing some of the surrounding light, the solar cells essentially act as a tinting system for the car as well as a power generator. Any generated power could be used for a car’s ancillary features such as an electrically-driven air conditioner or even to top up the batteries if the car is a hybrid or electric vehicle. EnSol is currently developing a commercial version of the technology together with the University of Leicester’s Department of Physics and Astronomy. The eventual goal is to have a cell efficiency of at least 20 percent in time for a commercial launch around 2016.